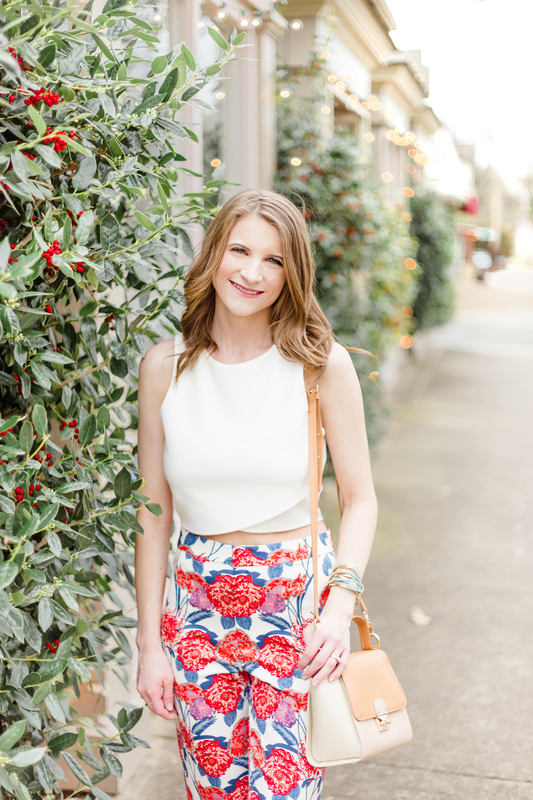 I’m so excited to share today’s outfit! 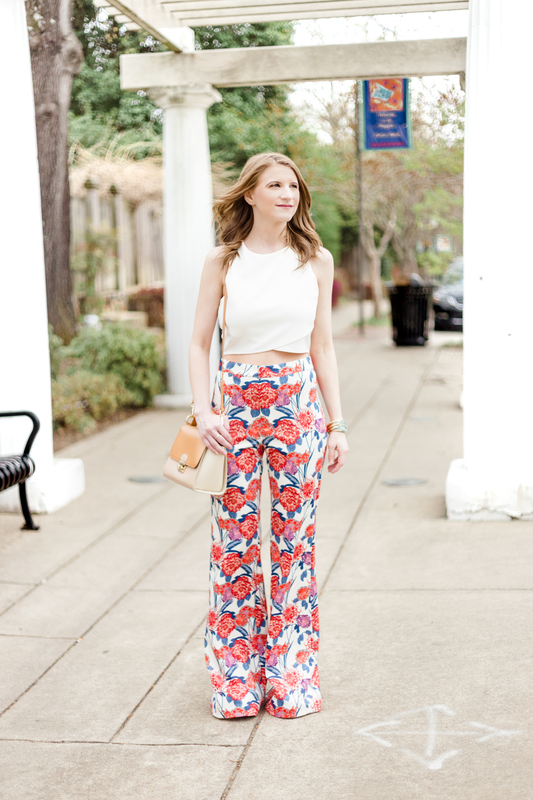 It was love at first sight with these fabulous Versona printed floral pants in my local Little Rock store. They’re bold, summery, and so, so much fun! 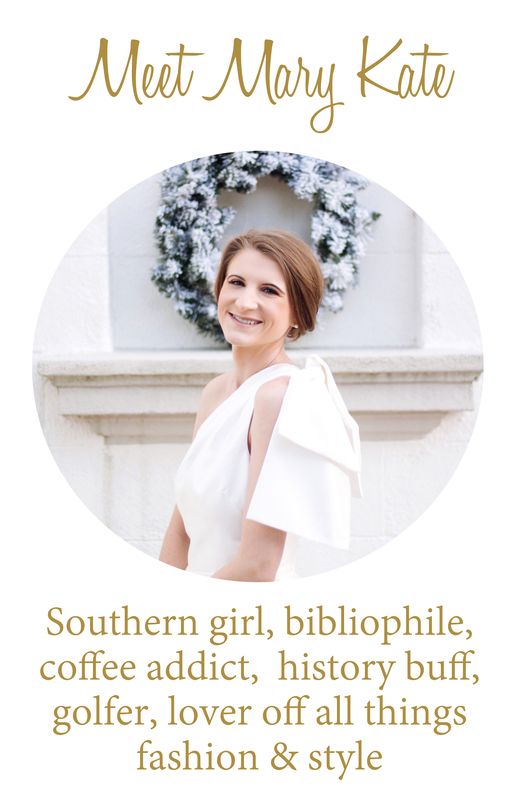 Today’s post is the last in the series of blog posts in partnership with Madeline Shane Photography. A big thank you to her for reaching out to collaborate! 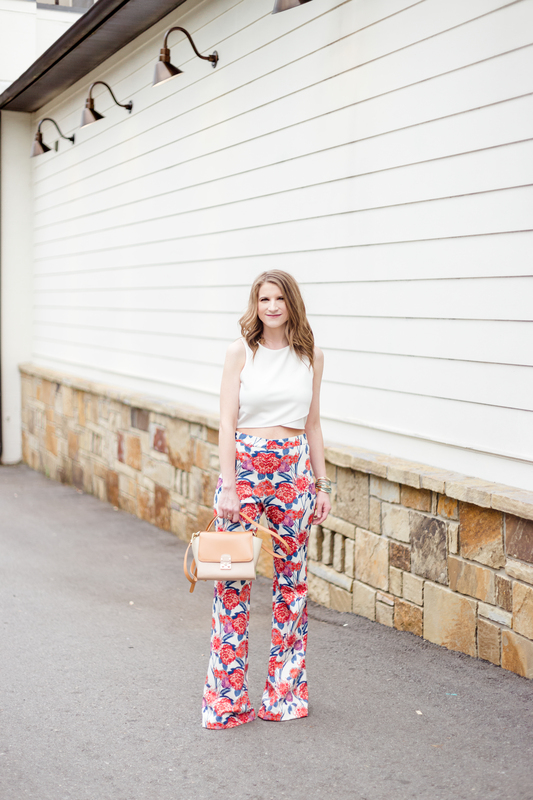 Scroll down to see how I styled these printed floral pants, then visit Madeline’s Instagram page to see more of her beautiful photography. Ok, so these pants are crazy, right? They’re colorful and so much fun to style. The flare hemline with the bold floral print gives the pants a very vintage vibe and I’m here for it. For this particular outfit, I paired the pants with a crisp white crop top I found at Express at few years ago. 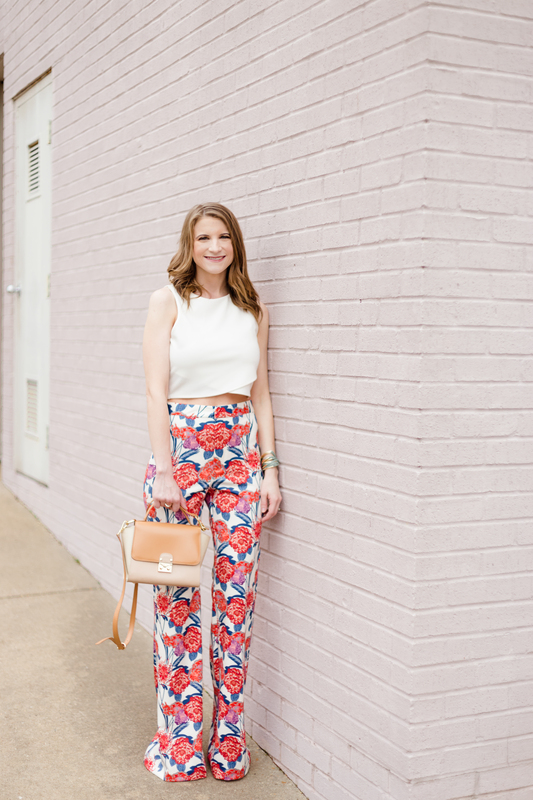 If a crop top isn’t your style, I just wore these pants to work with a tucked in navy camisole and loved the overall look! A big thank you to Madeline Shane Photography for providing the photos for this post!